Mosquitoes are well known flies with small wings. Most species are from the tropics, and anyone who has been to these parts will be familiar with the bites and the high-pitched whine of these pests. Only the females bite – they feed before breeding. The males do not feed on blood at all. Many mosquito species are disease carriers. The size is 8mm. Their habitat is tropical and subtropical areas where there is water available for breeding. Eggs are laid in water and larvae are aquatic and known as Wrigglers.. The larvae come to the surface to breathe. They can breed in small amounts water such as tree holes, plant pot saucers and rain filled discarded containers. 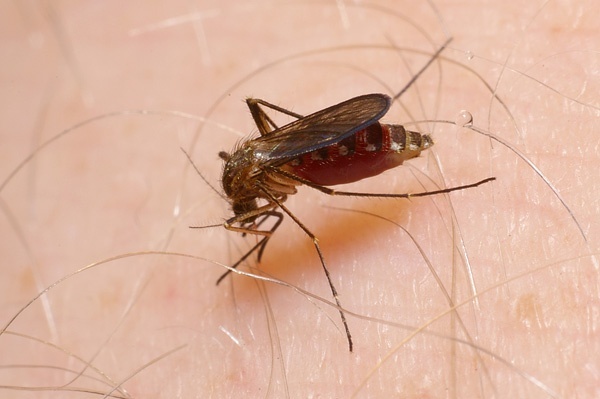 Malaria is spread by Anopheles species, dengue fever is spread by Aedes aegyptii.